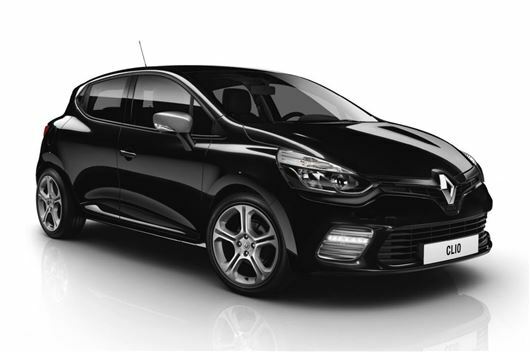 Renault is offering a new £400 GT Line styling pack for customers of the Clio in Dynamique MediaNav and Dynamique MediaNav S trims with 90PS 0.9 TCe or 1.5 dCi engines. The pack adds anthracite coloured alloy wheels (16-inch on MediaNav and 17-inch on MediaNav S), plus GT Line bumpers, a chromed tailpipe and LED running lights. The pack also includes GT Line badges, Renaultsport kick plates, and anthracite-coloured door mirrors. Whether buyers specify the GT Line pack or not, they’ll still get a slightly upgraded interior. Renault has changed the lighting for white LED in place of the old amber colour, plus it has changed the chrome finish on the vents to brushed aluminium, along with a few other minor tweaks. Additionally, Renault is now offering a reversing camera as a £250 option GT Line models.